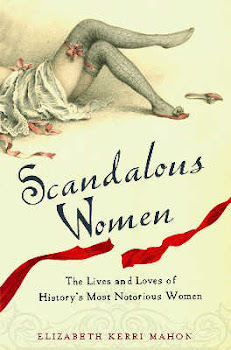 This post is borne out of a lecture I attended at the New York Historical Society about Notorious New York women. 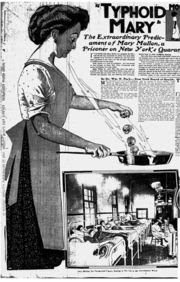 Everyone has heard the name of Typhoid Mary but how many of us really know who she was or what she did? In the summer of 1906, in the tony resort town of Oyster Bay, Long Island (home to Theodore Roosevelt and part of what they call the Gold Coast on Long Island), the daughter of William Henry Warren, fell ill with typhoid at their rented summer home. Typhoid was a highly contagious communicable disease (Prince Albert, Queen Victoria's consort died from typhoid fever). During the 19th Century, thousands of people died from typhoid fever. In the year 1906 alone, 23,000 people died in the United States. Soon five more people in the Warren household fell ill with the fever, including Warren's wife. Experts were brought in to determine what caused the outbreak. Typhoid fever was usually found in the cities slums where sanitary conditions were primitive. Most tenements had one outhouse for several families, and the water was generally unclean. It was unusual for there to be an outbreak in a rich area like Oyster Bay. Unfortunately while the experts were able to pinpoint the point of contagion as being from the daughter, they couldn't find the source of the original infection. Theories bruited about were taht it possibly came from contaminated milk or water, perhaps she ate some spoiled food. There had never been an outbreak of typhoid fever in Oyster Bay either before or after the incident with the Warren family. George Thompson, the owner of the house the Warren family was renting, was not satisfied with the conclusion of the report. He worried that no one would want to rent his house unless they could be assured that they would not be susceptible to another outbreak. He contacted George Soper, a sanitary engineer (a relatively new profession) in the newly formed Department of Health, to investigate. At this time, Soper had a reputation for being an epidemic fighter, he had been instrumental in setting up emergency procedures in Upstate New York when typhoid epidemics had struck in Ithaca and Watertown. After eliminating the usual sources of contamination which included the water supply and drainage, he began to concentrate on the possibility that the family had been exposed to a human carrier of the disease. This was a revolutionary idea at the time, developed by a German bacteriologist named Robert Koch. While it was known that humans could be carriers while they were actually ill with the disease themselves (as was proven by the daughter of the Warren family spreading it to five others), and during their recovery, Koch believed that there were humans who while outwardly healthy carried the germs of the disease in their bodies and spread it to the others by say not washing their hands after using the bathroom. Outwardly healthy, their bodies were like a petrie dish of disease. Knowing that the incubation period for typoid was 10 to 14 days, Soper counted backwards to see who was in the household at the time before August 20th. He discovered that the Warren family had changed cooks on August 4th. The new cook was a woman named Mary Mallon, who Mrs. Warren had found through an employment agency. Interesting to Soper was the fact that Mary had only stayed with the family for three weeks before she left. He also learned that Mary had often prepared a dessert that was a great hit with the family, ice cream with fresh peaches, just the thing to pass along a little typhoid. Mary Mallon became Soper's primary target in his investigation. Like a detective searching for clues, he went through Mary Mallon's employment records for the previous 3 years. What he found astonished him. It turned out that Mary had left a trail of typhoid fever in her wake over a ten year period. Not only that but she was one of the few people not to come down with the disease while others were stricken, and inevitably fled when the sickness appeared. Soper was determined to find Mary before she infected another family. It was not until sometime in 1907 that Soper managed to find a lead on Mary. She had gotten a job as a cook for a wealthy family living on Park Avenue in the city. By the time he found her, the daughter of the family was dying from typhoid and a maid was suffering from the disease. Here was where Soper made a huge mistake. On introducing himself to Mary, he told her that he had reason to believe that she was spreading the disease, and that he needed to have her come with him to have her blood, urine and feces tested. Mary reacted as probably any would have done in that situation. She threatened him with a large carving fork, telling him that she had never been sick with typhoid in her life, chasing him out of the apartment. Not only had Soper cornered her at her place of work, jeopardizing her employment, but he was accusing her of being sick and spreading disease. Mary had not left Ireland to come to New York only to be accused of inadvertently killing people. "She seized a carving fork, and advanced in my direction. I passed rapidly down the long, narrow hall, through the tall iron gate, out through the area, and so to the sidewalk. I felt rather lucky to escape. Apparently Mary did not understand that I wanted to help her." Soper was not to be deterred however. He found out where Mary was living, and bribing her live-in boyfriend, an unemployed alcoholic named Breihof, found out what time Mary was due home from work. Waiting with another doctor, he confronted her again (clearly he decided that there was safety in numbers. Mary was a big hearty blonde woman). Mary was pissed, she accused Soper of persecuting her. She claimed that there had been no more typhoid where she worked than anywhere else, and that she had been rewarded by the Drayton family for helping to nurse the family when they were sick. Once again, Soper was forced to leave empty handed. He had one last resort, the Department of Health. He presented his case to them, laying out the facts as he knew them, that Mary Soper was a danger and a health hazard. He claimed that under suitable conditions, she might even trigger an epidemic, say if she were working in a restaurant kitchen, or cooking for a large dinner party. On March 19, 1907, Dr. Josephine Baker, a Health Department inspector, went to see Mary Mallon with an ambulance and three policemen. She had been given an order by her superior, to get the specimens from Mary. If she resisted, Dr. Baker had orders to bring Mary Mallon in by force. Accompanied by one of the policemen, Dr. Baker approached Mary in the basement entrance. Mary however was prepared and attacked Dr. Baker with a kitchen fork. While the doctor fell into the policemen behind her, Mary took an opportunity to escape, fleeing through the rear of the house. The other servants, out of loyalty to one of their own, denied seeing her. Dr. Baker and the policemen searched the neighborhood for three hours before finally locating Mary Mallon who was hiding in a shed in a neighbor's yard. Her dress had gotten caught in the door which gave her away. Huge garbage cans had been piled against the door, presumably by the servants to help protect her. Cursing and fighting, Mary put up a good fight. It eventually took 5 policemen to subdue her and Dr. Baker had to sit on Mary in the ambulance on the way to the hospital. Not much is known about who Mary Mallon was before she came onto Soper's radar. At the time that she was taken into custody, she was around 40 years old. Born in County Tyrone, Ireland, in 1869, she emigrated to the United States in 1884 at the age of 15. Due to the nature of the disease, Mary Mallon was often depicted in the press as a slovenly, ignorant, unkempt, woman, which says more about the presses contempt for the Irish then it does about Mary herself. It's hard to imagine nowadays, when everyone celebrates St. Patrick's Day and wears 'Kiss Me, I'm Irish' buttons, but for along time in the 19th century, the Irish were considered even lower than African-Americans. There were signs at boarding houses that said "No Blacks, No Jews, No Irish." They were actually considered a different race than whites. The hatred and racism towards the Irish started with the great influx of immigrants during the potato famine. Most Irish immigrants, if they were men, ended up working digging the Erie Canal and other low-paying jobs, or they worked as domestics or cooks. There were so many Irish women working as domestics, that they were all called Bridget by their employers, no matter what their real names were. Mary Mallon had worked her way up to being a cook, and was quite proud of her skills in the kitchen. The fact that she worked for several well-to-do families meant that she had to have learned skills beyond the basics of American cuisine. At that the time, the US was in the midst of a culinary revolution. There were fine dining establishments like Delmonicos and Rectors, lobster palaces, cookbooks were being published, Americans who had traveled abroad had brought back tales of the food that they had eaten in Europe. For Mary to be employed consistently by upper middle class families, she had to be up on all the latest techniques. She could read and write, her favorite novels were those by Dickens and her preferred paper was The New York Times. At the hospital, Mary was isolated, classified as a dangerous patient. She was put into the charge of Dr. Robert L. Wilson, and Dr. William H. Park, who was the chief of the Health Department's bacteriological laboratories. The first tests that came back proved that Mary Mallon was a carrier for typhoid. Subsequent examinations over an 8 month period proved that apart from a few weeks, Mary's body continued to discharge the typhoid germs. Soon after her arrest, Soper came to see her, partly out of a genuine desire to help her, but also partly to gloat that he had been right all along about his theory. He seemed to genuinely be surprised that she wasn't grateful that she had been taken off the streets. He told her that if she had her gallbladder removed, she might be free of the disease, and could go back to her life. No matter that most operations at that time were dangerous, and that the chances were that, if she even lived, there was no proof that removing the gallbladder meant that she was disease free. Mary refused to cooperate, staring sullenly at Soper. After several weeks at the Willard Hospital, Mary was transferred to Riverside Hospital, which was located on one of the many barren islands in the East River up near the Bronx. While she was allowed to work as a laundress while she was incacerated, she was isolated from the rest of the patients on the island, living in a little cottage by herself. The press of the day got hold of the story, dubbing her 'Typhoid Mary,' publishing cartoons of her frying typhoid germs like sausages. Others were kinder, depicting her as a lonely woman. In the meantime, the Health Department began to round up other suspected typhoid carriers. Mary's case had proved that they did exist. Many, like Mary, proved to be chronic carriers, but unlike her, they were allowed to return to their homes after they pledged not to have anything to do with food or its preparation. Finally, Mary saw the handwriting on the wall, if she was ever going to be released, she would have to take the pledge as well not to cook again. She also promised to check in with the health department every 3 months. In 1911, Mary Mallon was finally released from Riverside Hospital and promptly disappeared. At first she tried to do what the health department wanted, getting a job working as a laundress, but the pay was less and it was a step down. Finally Mary went back to the only job that she knew and was good at, a cook. Avoiding employment agencies all together, Mary found jobs working at several hotels, a fasional resort, and a Broadway restaurant. Once again, everywhere that Mary went, typhoid was sure to follow. However, Mary used aliases icnluding Marie Breshof or Mary Brown. Finally in 1915, George Soper was called into the Sloane Hospital for Women in New York. 25 people had come down with typhoid, mainly nurses and attendants. Two of them were dying. Examining the personnel records, Soper discovered that a cook had been hired three months before, who had left after being teasing called 'Typhoid Mary.' Examining a sample of her handwriting, Soper determined that the woman was none other than his old nemesis Mary Mallon. Mary was captured on Long Island where they spotted her carrying a bowl of jello to a friend's house. This time Mary went peacefully. On March 27, 1915, Mary was returned to Riverside Hospital on North Brother's Island. The staff at the hospital tried to cure her using the new methodology that had been developed in the treatment of typhoid. She was given injections of the typhoid bacilli and also given pills that were to be taken at intervals. However, Mary threw them away, resigning herself to life as an outcast. At the time that Mary was taken into custody for the last time, 53 cases of typhoid had been attributed to her, and 3 deaths, which seems awfully small but those were only the cases of typhoid that could be traced back directly to Mary. There is no telling how many other people she infected over the years before she first came to Soper's notice in 1906. Over the years, she refused to answer any questions or to have her photograph taken. And she never expressed remorse or took responsibility for the suffering that she caused. Slowly over the years, Mary began to come out of her shell. She was finally given a job working in the hospital laboratories, where she was paid $60 a month, preparing slides, keeping records and generally taking on any task that was given her. She was occasionally allowed to go into the city because authorities knew that this time she would return to the hospital, she had no choice. In 1923, she moved to a one room cottage on the island, where she entertained friends from the hospital. However, when mealtimes came, Mary ate alone. She was examined periodically but continued to prove toxic. In 1932, she suffered a stroke, which left her paralyzed. She lingered for 6 more years before finally passing away in 1938, after spending almost 30 years in custody. She was buried in St. Raymond's cemetary in the Bronx. At the time of her death, there were 349 known carriers of typhoid but only Mary was considered dangerous enough to be isolated. Was Mary Mallon victim or villain? On the one hand, she was a woman, came from a race of people that was considered inferior. Was she victimized for being Irish and a woman? Possibly but given the evidence that she was a carrier of typhoid, Mary refused to believe it, and when she was given her freedom, she promptly went back into a profession where she could continue infecting people. No one will ever know why Mary refused, despite the evidence, to believe that she was a carrier. She wrote no memoirs, wrote no letters of explanation. She refused to talk about her case with anyone. But then who among us would want to believe that we were capable of making people sick? And without proper retraining for a new job, one that would give her as much satisfaction as cooking, why wouldn't Mary resort to the only profession that she was good at and that she loved. One could blame the Health Department for their actions, but at the time, the idea of a human carrier of typhoid was very new. The fact that George Soper managed to be one of the first to find a human carrier made his name, and that of the New York Department of Health. In their zeal, they clearly thought they were doing the best they could with the knowledge that they had. So is Mary Mallon villain or victim? The evidence would suggest that she was a little bit of both. Her passion for cooking and her stubborness led to her downfall. Today her name is a generic term for people who spread disease because they refuse to take proper precautions. According to Wikipedia, some of her descendants who live in Northern Ireland run a catering business where something called the 'typhoid bun' is a hit among the locals. I can't begin to thank you for the wonderful job you do on this blog. The research shows a consistent desire for excellence and attention to detail. 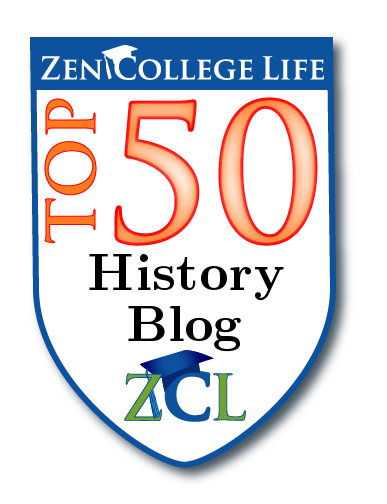 It is indeed a privilege to link to your posts and let my readers know of your wonderful historical biographies. Thanks so much! Thanks Sherry. 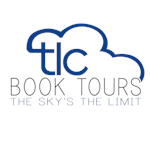 I enjoy bringing the stories of these women to an audience, and I hope that the books and videos that I mention give the readers a chance to read more and to learn more about them. The blog is truly been a labor of love for me. Woah. Heard of her, but never knew why. Incredible Irish context. It's so wierd that she herself never got sick. Tough cookie. Isn't it interesting? Speculation is that she had a mild form of the fever, but thought that she had pneumonia or the flu, so didn't even realize that what she had was typhoid which is why she kept denying that she had ever had it. I feel sorry for her up to a point, but you know, denial is not a river in Egypt. There was a documntary on "Typhoid Mary" here is Australia a couple of years ago. It made one feel sympathetic to Mary's plight - true with training she could have undertaken a new career - but her love was cooking. Wow, Melisande, how interesting that her story has reached all the way to Australia. Yes, it is sad, if they could only have retrained her properly or helped her to understand how she infected people in a more concrete way. 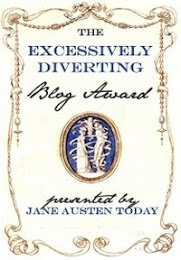 despite that, your blog is my absolute favourite. Marie Antoinette is definitely my home girl too!! Nobody likes to be alone especially in Delhi, human beings are social faunas they aren’t exactly in their peak when alone.Because of this many firms have come to life in the region, so that nobody is left out.Escorts In Delhi are the people who chose to do something about it. will boost the confidence of the person in front of their earls.It’s no doubt that having a good looking partner will put a smile on practically anybody’s face.Now this is something which money can buy.